When creating movies, directors and actors strive to produce the very best films that will be applauded and awarded, which is what the Oscars are for. With numerous nominees also come many speculations about who will take home the golden trophy. So far the most nominated films are The Revenant with twelve nominations, Mad Max: Fury Road with ten nominations and The Martian with seven nominations. The nominations for best picture are The Big Short, Bridge of Spies, Brooklyn, Mad Max: Fury Road, The Martian, The Revenant, Room, and Spotlight. Most of these films have excellent reviews and high ratings from both critics and viewers. Also all of them are very plot driven and explore themes and storylines that are original and unclichéd. The Revenant has been praised for its brilliant plot and visuals and Leonardo DiCaprio’s performance might also be one of his best yet. The story revolves around a hunter who, after being attacked by a bear, is left behind by his hunting group. 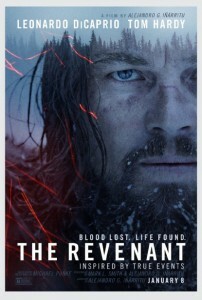 Using his survival skills he must survive in the wilderness while he plans his revenge on the men who left him to die. “I think The Martian will win because it’s very unique,” junior Marissa Villanueva said. Lately many space and alien themed movies have been released, The Martian plot is based on an astronaut who travels with his team to Mars and is left behind because he is presumed dead after a terrible storm. 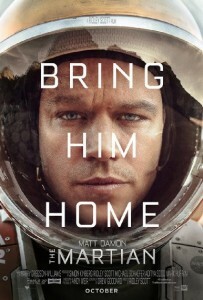 While he tries to survive on the few supplies he has left, the NASA team on Earth plans a rescue mission to save him. The nominees for best actor are Bryan Cranston, Matt Damon, Leonardo DiCaprio, Michael Fassbender, and Eddie Redmayne. DiCaprio has never won an Oscar, not even for some of the brilliant performances such as in the Wolf of Wall Street or The Great Gatsby, and this year might be his breakthrough. “I think Matt Damon will win because he was so into his character in his movie,” Villanueva said. In 1998 Matt Damon won an Oscar and has been nominated several times for best performance by an actor in leading and supporting roles. “Michael Fassbender should win because he did a fantastic job of playing Steve Jobs,” junior Maddie Hamby said. The nominees for best actress are Cate Blanchett, Brie Larson, Jennifer Lawrence, Charlotte Rampling and Saoirse Ronan. “Jennifer Lawrence should definitely win because she’s actually done a great job and she’s a really good actress,” Chavez said. In 2013 Lawrence won and Oscar for best performance by an actress in a leading role and she is a loved by social media because of her sense of humor and down to earth personality. “I think Jennifer Lawrence will win just because she’s funny and she really gets into her role,” Villanueva said. 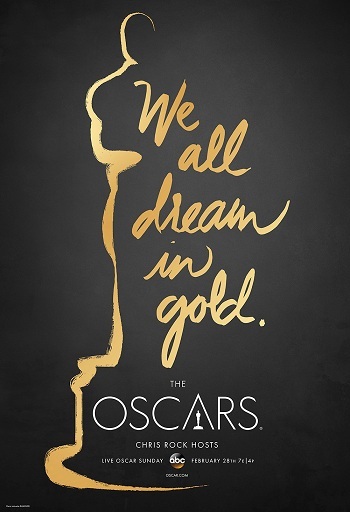 The Oscars will premiere Feb. 28, 2016 which will confirm all the results the viewers have about the winners.